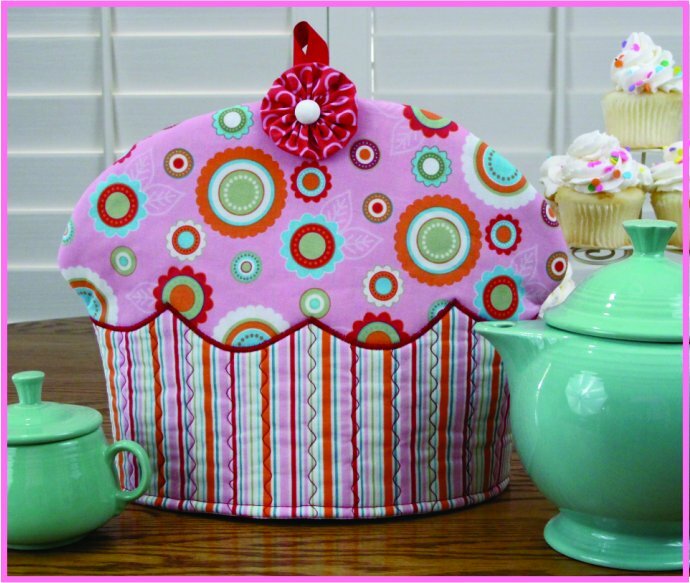 To make a perfect cup of tea you'll need a Cupcake Tea Cozy! Includes full-sized pattern pieces and step-by-step instructions to make this fun and functional over-sized Cupcake Tea Cozy. Finished size 10" x 13" - big enough for fancy, regular and Brown Betty teapots too! 1. Put water on to boil - a real rolling boil. 2.. Warm the teapot (run some hot tap water in the pot - donâ€™t forget to empty it)! 3. Add tea (1 tsp. Per cup) to pot or (tea bags). 4. Pour the boiling water over the tea. Stir. 5. Cover the pot with your tea cozy and let the tea steep, five minutes is all. Stir again. The tea is ready! 6. Pour a cup of tea - add milk sugar or lemon as desired - cover pot with your tea cozy, the remaining tea will be lovely and hot when your ready for another cup.